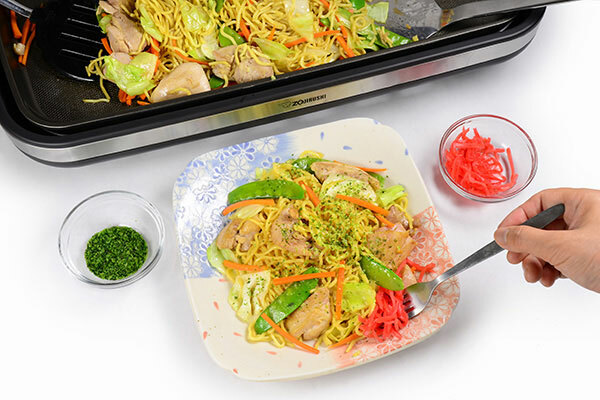 Yakisoba, literally meaning "fried noodle", is a classic Japanese street food that has been around for nearly a century. 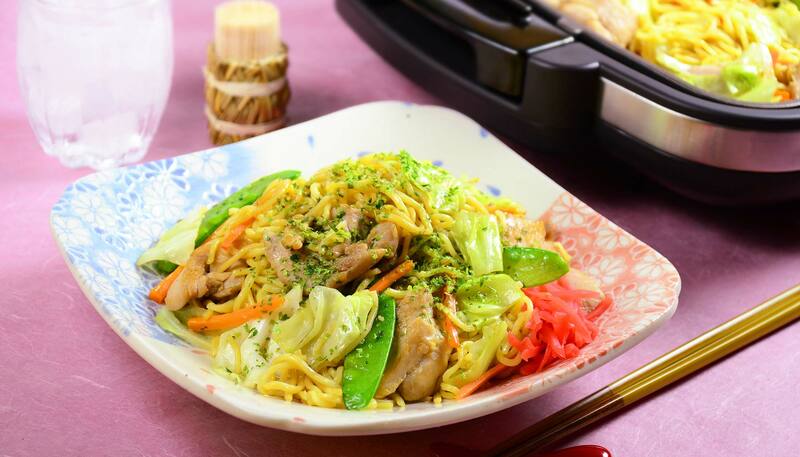 The dish is made by stir-frying your favorite meat and veggies with ramen-style noodles and flavoring it with a special tangy sauce. A simple, flavorful dish! 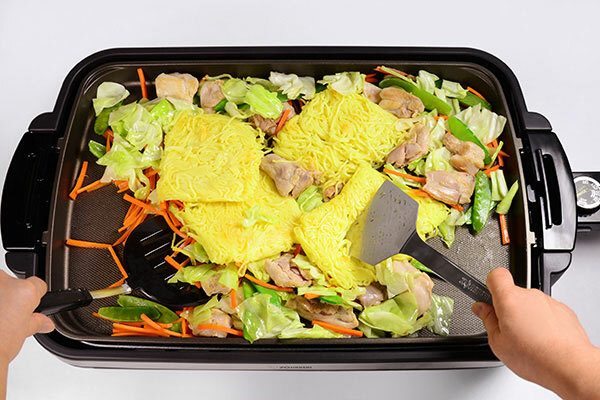 Cut chicken into bite size pieces. Place in a bowl, add sake and salt then combine. Set aside. 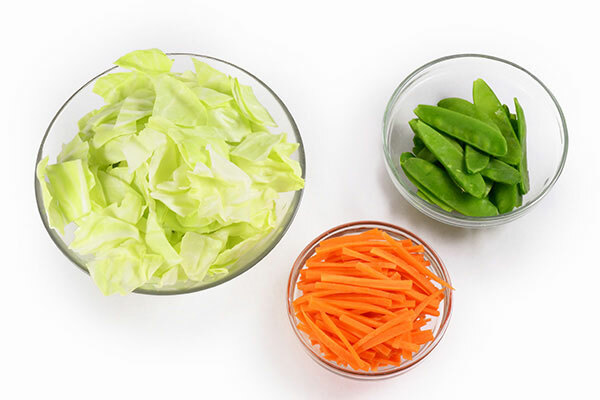 Julienne carrots and cut cabbage into bite size pieces. Remove strings from snow peas. Make the yakisoba sauce. 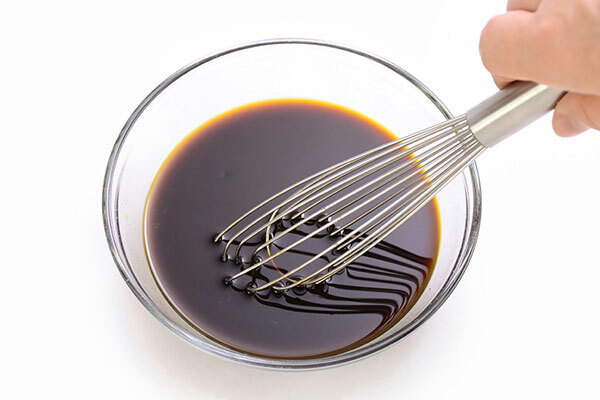 Mix Worcestershire sauce, oyster sauce, soy sauce and honey in a small bowl. Turn on the Gourmet d’Expert® Electric Griddle / EA-DCC10 to 300ºF and wait until the pilot lamp turns off. 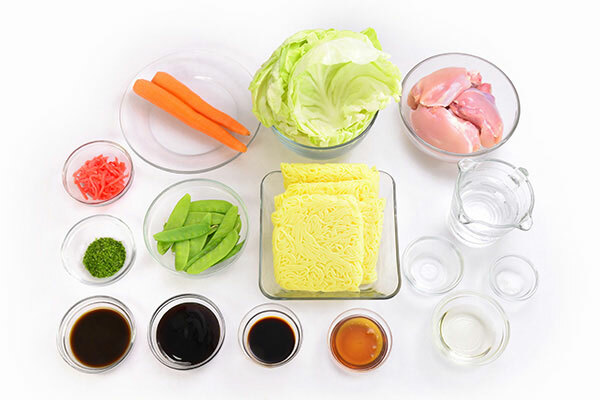 Place oil, noodles and cook for one minute on each side to make surface slightly brown. Do not disentangle noodles at this point. Transfer to a plate and set aside. 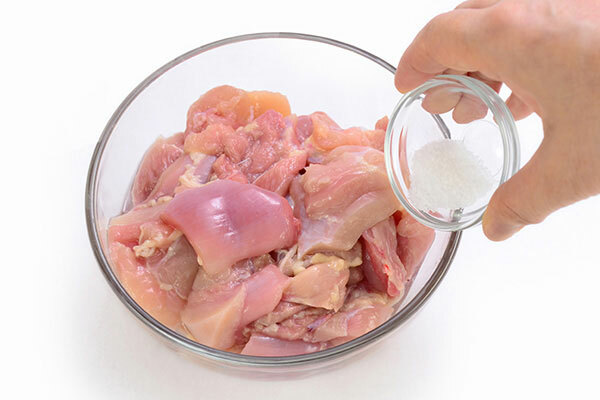 Cook chicken meat for 3 minutes. Add carrot, cabbage, snow peas and sauté for about 5 minutes. 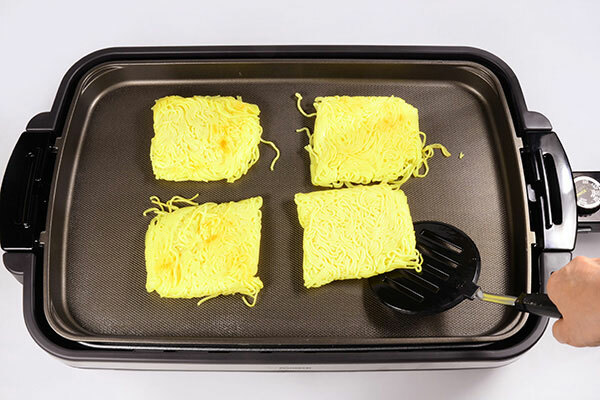 Add noodles from step 4 and water to the griddle, gently disentangle noodles and combine with other ingredients. Use two spatulas* for easy handling. 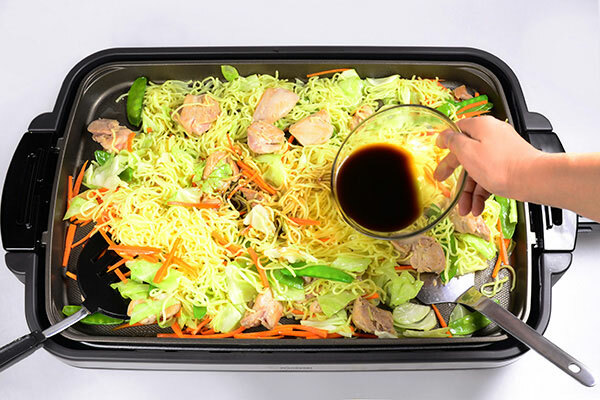 When water is almost gone after about one minute, add prepared sauce to the noodles and combine well. 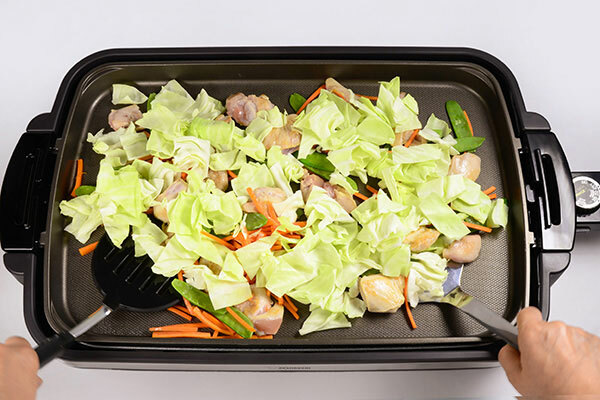 Turn the heat off, serve with a sprinkle of optional aonori and a side of beni shoga.